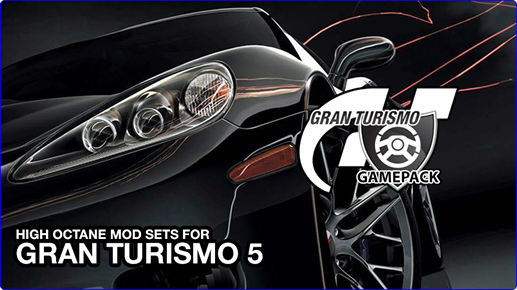 The Gran Turismo 5 Gamepack for Titan One features 4 MODS that surely will help you master every single race on A-Spec and B-Spec events. This Gamepack must be used with default buttons layout. Makes the game run at lower speed, allowing the player to drive more precisely and react faster. Perfect Lap. Activate / Deactivate slow motion. Temporary deactivate slow motion while pressed. Automatic repeat, time-to-time (each 30 seconds), your last pace command. Fully Automatic B-Spec Grinding. This MOD will automatically restart the race to keep your B-Spec driver making money and gain level, without your intervention. Fully Automatic A-Spec Grinding. This MOD will automatically play and restart racings to making money and gain level on A-Spec mode, without your intervention. RESTRICTION: Tracks must be OVAL. Fully Automatic A-Spec Grinding. This MOD will automatically play and restart the A-Spec races to making money and gain level on A-Spec mode without your intervention. RESTRICTION: Tracks must be OVAL. Choose the option the matches the direction (clockwise or anticlockwise) of the track you are racing. It may be necessary adjust the strength of the push (left/right) to keep the car near wall, to do that use the adjustable option of this MOD, by pressing L1 and R1 buttons and testing using the R2 button. The default gas button is configured on right analog stick, however use the R2 for gas is very popular among the GT5 fans. This configuration is used by the Automatic A-Spec Grinding MOD and does not have any effect in your regular game play.